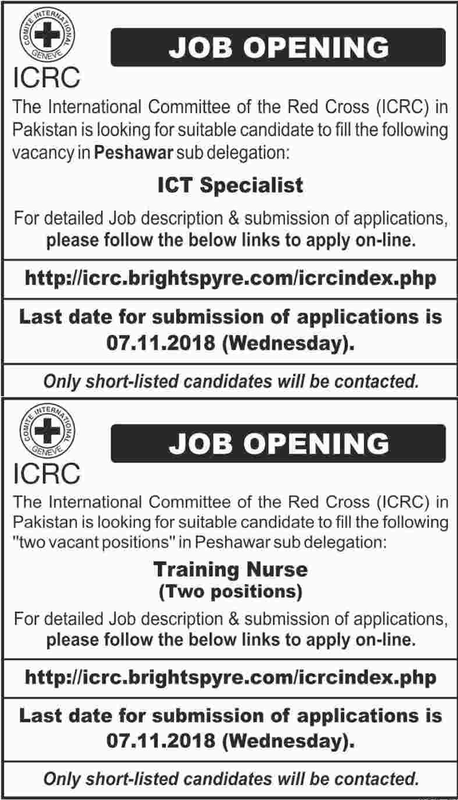 International Committee Of Red Cross (ICRC) Peshawar Khyber Pakhtunkhwa. For detailed Job description & submission of applications, please follow the below links to apply online. http://icrc.brightspyres.com/icrcindex.php. The last date for submission of applications is 07.11.2018 (Wednesday).